Fear or Value – which one is “selling” social media? When considering making a purchase as a business there are arguably three forms of justification – need, fear or value. By need I mean an absolute requirement for something i.e. you cannot operate without it. By nature these aren’t the decisions that you spend very long thinking about. The other two are where the majority of consideration comes in. Fear – To a certain extent this is the more irrational of the two. What if I don’t do this? What won’t I know? What will people think? What if my competitors do or perhaps they already are? Value – This is the more rational. If I do this I will derive this much benefit. In the recent Econsultancy Social Media and Online PR Report (well worth reading) amongst many interesting statistics a few that jumped out at me were in connection with organisations (Figure 17) and Agencies (Figure 19) views of the potential value of social media. Two points jump out at me from these stats. Firstly that Agencies think organisations are more sceptical about value than Organisations apparently do themselves. Perhaps this is due to lack of follow through on spending decisions? Secondly that in both cases these figures imply that value is seen as a much bigger challenge to the argument for engaging in social media activities than the challenges and risks. This is borne about by the findings of Figures 48 and 50 where from both Agency and Organisation perspectives 60% of respondents considered they had achieved some benefit from their social media activities but nothing concrete. So with the vast majority of respondents seeing no concrete value in what they are doing does this suggest that fear – fear of what is being said about you, fear of missing an opportunity – is playing more of a role in justifying investment in social media than value? 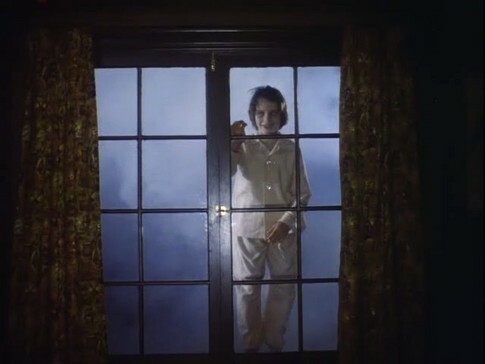 Oh and the picture is from the 1970s TV version of Salems Lot and this scene was quite simply the most scary experience of my life at the time and I have never forgotten it!